Shavuot, the Feast of the Weeks, is the Jewish holiday celebrating the harvest season in Israel. Shavuot, which means “weeks”, refers to the timing of the festival which is held exactly 7 weeks after Passover. Shavuot also commemorates the anniversary of the giving of the Ten Commandments to Moses and the Israelites at Mount Sinai. The Book of Ruth is read during Shavuot. Ruth, a convert, was the model of Torah acceptance and the great-great-grandmother of King David. Judaism has welcomed those who voluntarily become Jews and considers them full-fledged members of the Jewish community. The Hebrew Bible, as well as later Jewish texts, includes examples of such individuals. The most famous and honored example appears in the biblical book of Ruth, where Ruth joins the Jewish people and eventually becomes the great-great grandmother of King David, from whose descendants, according to Jewish tradition, the Messiah will come. In our day, most Jews welcome wholeheartedly those who have chosen to become Jews. Nonetheless, some Jews-by-choice report occasional offensive comments directed toward them. Although the reasons for such attitudes are complicated, they are based on ignorance and prejudice and are by no means sanctioned by Judaism. As more and more Jews-by-choice enter the Jewish community, as we promote education about Jewish views of conversion and sensitivity to Jews-by-choice, and as public discussion of such a choice grows more commonplace, these negative views continue to fade. 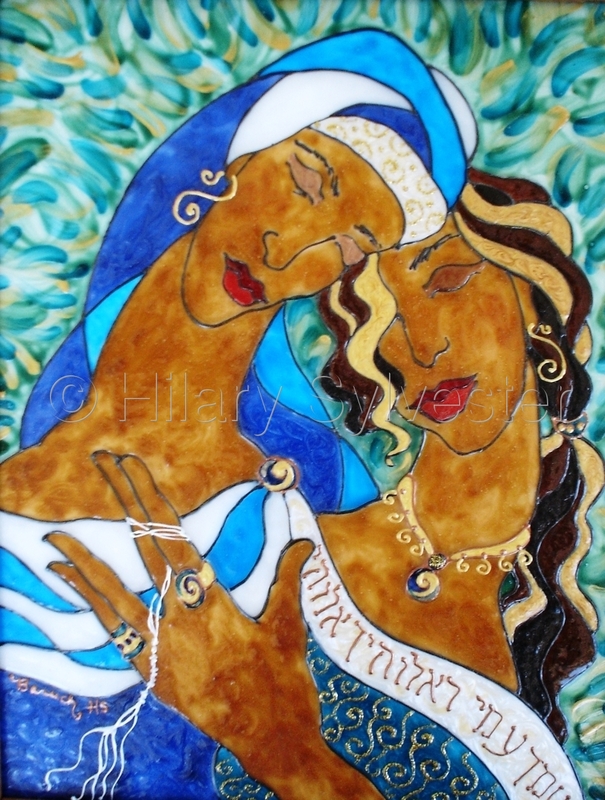 Ruth & Naomi, original art by Hillary Silvester of baruchdesigns.com: Ruth Makes an Eternal Vow to Naomi. 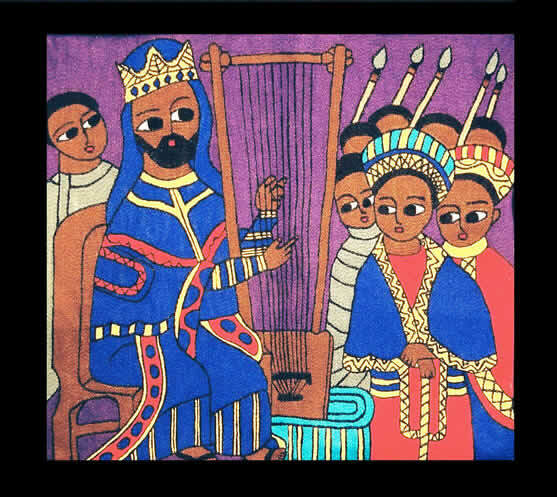 Hebrew Text: Your People are my People, Your God is my God. 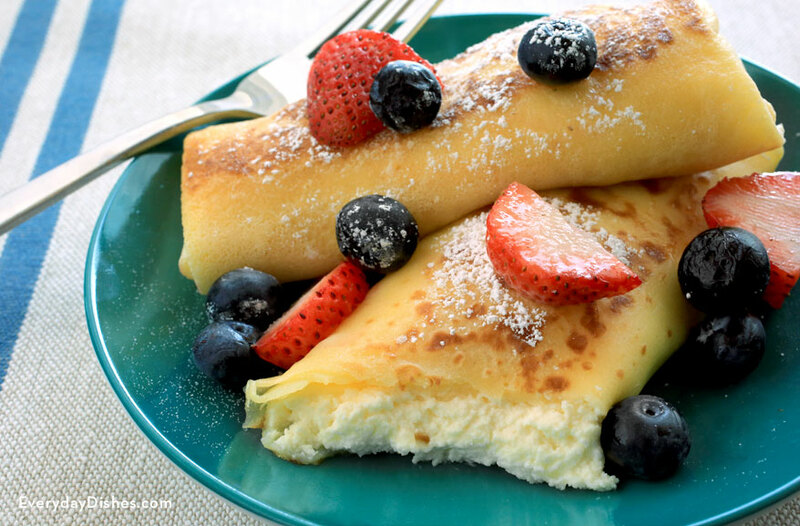 Ashkenazic: Hungarian blintzes, called palascinta, evolved as a first-cousin to the French crepe and became another popular food for Shavuot. Beet borscht from Russia and the Ukraine, often served with sour cream, as well as cucumber soups, cheese pastries, strudel and schav – sorrel soup – are popular Shavuot foods. Some families make challah for Shavuot with a ladder of dough on top to symbolize the giving of the Torah. Others add a set of tablets made from dough for the Ten Commandments. Cheese kreplach became a specialty of Shavuot, according to Claudia Roden in “The Jewish Book of Jewish Food.” This stuffed pasta traveled from Venice, Italy in the 14th century to the Jews of Germany, along with other noodles which came from Italy. These evolved into lokshen kugel, dairy noodle pudding with cheese, also a holiday favorite. 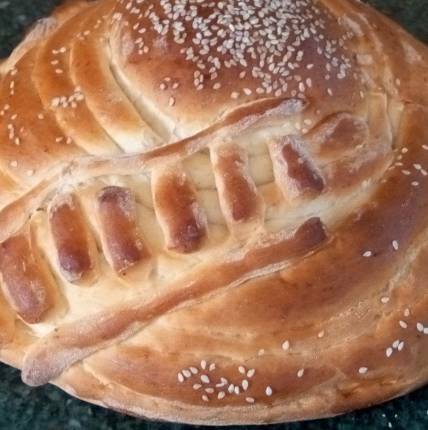 Sephardic: In “The Sephardic Kitchen,” Rabbi Robert Sternberg writes that some Sephardim make a braided round loaf centerpiece called los siete cielos, the bread of the seven heavens, whose bread is referred to as el monte, representing Mount Sinai. The seven rings of dough surrounding the mount refer to the seven holy living spaces through which the soul ascends to heaven. Yemenite Jews: Because the Yemenite Jews from Southern Arabia do not consider themselves a part of either the Ashkenazim or Sephardim, they do not eat dairy foods on Shavuot and presume the children of Israel knew about kashrut while waiting for Moses. They do study Torah all night and in the morning, they eat malawach, a pancake bread, with something dairy. For other Shavuot meals, they eat meat and pita or traditional Shabbat foods with their condiments – schug, the paste made with red peppers and spices; and hilbe, a paste made with fenugreek seeds. 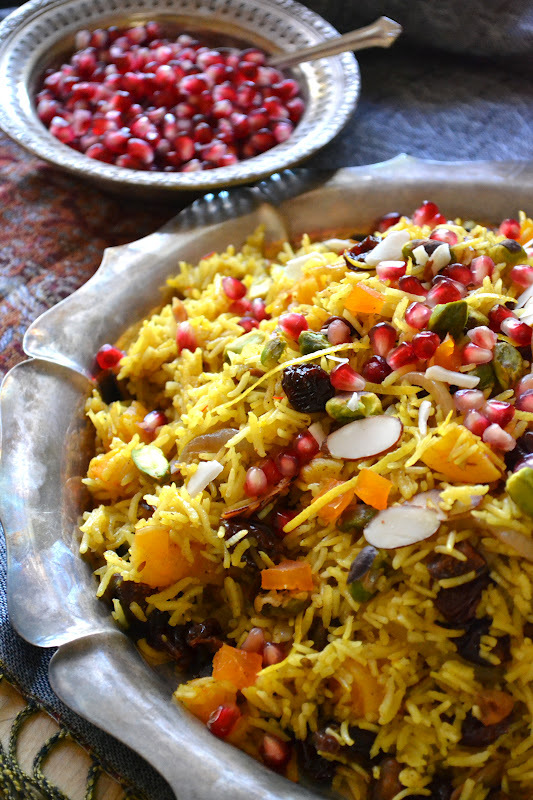 Jews of Persia: In her book, “Jewish Cooking from Boston to Baghdad,” Malvin W. Liebman uncovered some interesting research about Persian Jewish eating on Shavuot. She writes that the holiday symbolized the marriage of God and the people of Israel to the Jews of Persia, so they prepare for it like a wedding, serving grain and cereal dishes, fruits and sweets. 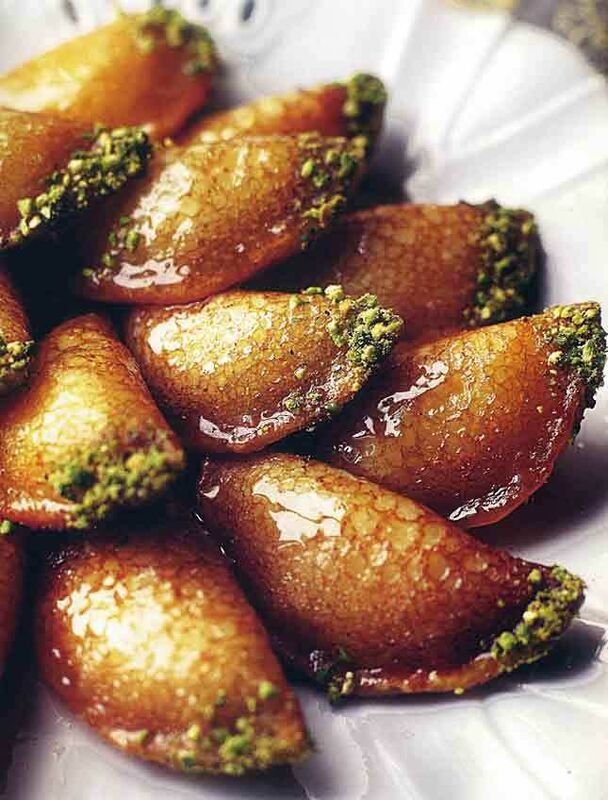 Iraqi Jews: Kahee, a food made from a dough which has been rolled flat, buttered, folded into squares and fried then sprinkled with sugar on top, is eaten for Shavuot by Iraqi Jews. Tunisian/Moroccan/Libyan Jews: Some Tunisian and Moroccan Jews eat a seven-layer cake called sieta cielos (seven heavens) for Shavuot. It represents the seven spheres of God, passed in order to present the Torah to Moses. Jews from Tripoli make various shaped wafers for Shavuot. Some like a ladder, others like a hand and others like two tablets. Moroccan Jews recite the Kiddush on Shavuot eve they take a few pieces of Matza that they saved from Passover and break them into small pieces. They then make a mixture of honey and milk. Immediately after, they blend the Matza pieces into the mix. Everyone gets their own portion, savoring the taste of this Shavuot treat. Syrian Jews: Atayef, a filled cheese pancake, and ruz ib asal, a baked rice pudding with honey and rose water, are traditional for Shavuot. Kurdistan Jews: For Shavuot, Jews from Kurdistan prepare a ground wheat dish, cooked in sour milk and served with butter and flour dumplings. Greek /Turkish/Balkan Jews: Greek and other Sephardic communities serve cheese pastries and pies and delicacies based on cheese, eggs, milk and yogurt for their main meals during Shavuot. They also bake special breads with symbols on the surface of the bread such as a mountain like Mount Sinai, tablets of law, a scroll with pointing hands, Jacob’s ladder, a well in the desert or a serpent. Roscas, sweet yeast bread rings, sometimes braided, called tsoureki in Greek, are also served with cheeses for Shavuot, along with bougatsa, a cheese-filled phyllo pastry. Italian Jews: Some Italian Jews eat dairy dishes for Shavuot plus a special Passover dish called matza cperta, a kind of omelet. They also take the last crumbs from the Pesach matzo and feed them to the fish on Shavuot. Tortelli dolci – cheese turnovers filled with ricotta cheese – are another favorite for the holiday. Jews of Rhodes: Elsie Manasce in her book, “Sephardic Culinary Traditions,” which pays tribute to the Sephardim who came from the Island of Rhodes, writes that on Shavuot men and boys stayed awake throughout the first night to study and chant songs in Hebrew and Ladin. In the morning, they were served bolelmas de espinaka, a savory spinach pastry; roskas, a hard, brown, crisp roll; soltac, a ground rice pudding; and cheddar-like kashkaval cheese. Jews of Spain: For Shavuot, Jews of Spain baked cookies called “the peaks of Mount Sinai,” with walnut halves on top representing the asereth dibrot – Ten Commandments. They also made cookies in the shape of the Ten Commandments called “Moses’ biscuits,” which were given to children. Cheesecake and Other Desserts: Matthew Goodman, author of “The Food Maven” column in The Forward, once wrote an article stating that he learned from British cookbook author, Evelyn Rose, that Jews first encountered cheesecake during the Greek occupation of then Palestine in the third century B.C.E. Cheesecake was also a favorite of European Jews who made it with curd cheeses such as farmer’s cheese and pot cheese and flavored it with lemon rind. Another form of Central and Eastern European cheese dessert is called rugelach, which is a nut and raisin crescent with cheese in the dough. Gil Marks, author of “The World of Jewish Desserts,” writes that popular desserts among European Jews include kaese fluden, a layered cheese pastry, also called Mount Sinai cake; smeteneh kuchen, a sour cream coffee cake; pirishkes, a half-moon shaped Ukrainian and Russian turnover filled with cheese; strudel filled with cheese; and zeesih lukshen kugel, a sweet dairy noodle pudding. by Sybil Kaplan, author of “Kosher Kettle: International Adventures in Jewish Cooking” and six other kosher cookbooks. In medium bowl, combine flour, sugar, lemon peel and vanilla. Make well in center; add egg yolk and butter. Mix with fingertips until dough cleans side of bowl. Form into a ball and wrap in waxed paper. Refrigerate for one hour. Preheat oven to 400 degrees F. Grease the bottom and side of a 9-inch springform pan. Remove the side from the pan. Roll one third of dough on bottom of springform pan; trim edge of dough. Bake 8 – 10 minutes, or until golden. Meanwhile, divide dough into 3 parts. Roll each part into a 2 1/2″ strip, 10″ long. Put together springform pan, with the baked crust on the bottom. Fit dough strips to side of pan, joining ends to line inside completely. Trim dough so it comes only 3/4 of the way up side of pan. Refrigerate until ready to fill. Preheat oven to 500 degrees F. Make Filling: In a large bowl of electric mixer, combine cheese, sugar, flour, lemon and orange peel, and vanilla. Beat at high speed, just to blend. Beat in eggs and egg yolks, one at a time. Add cream, beating just until well combined. Pour mixture into springform pan. Bake 10 minutes. Reduce temperature to 250 degrees F. and bake 1 hour longer. Let cheesecake cool on wire rack. Glaze top with strawberries. Refrigerate 3 hours or overnight. To serve, loosen pastry from side of pan with spatula. Remove side of springform pan. Cut cheesecake into wedges.